Recognising the dedication from the Croatian diaspora to the nation building of the independent and democratic Croatia, to the well being of Croatian people wherever they may be, has been a tireless, selfless pursuit of many people of Croatian descent living across the world, outside Croatia, for several decades. Recognising and awarding that dedication has been a goal of the Croatian Diasporan Voice association to which I proudly belong. 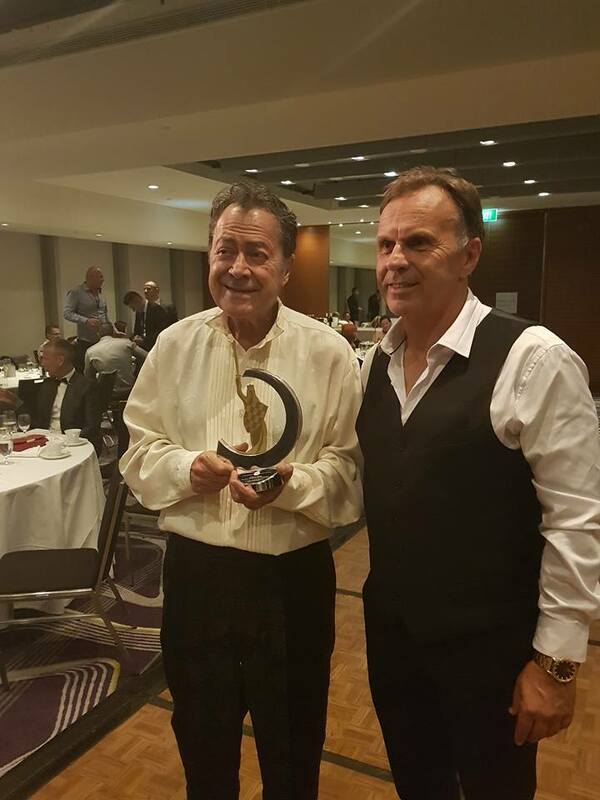 On Saturday 9th December 2017, in the company of many distinguished guests from the Australian community, the worldwide renowned artist and humanitarian, Charles Billich, became the first inductee of that Hall of Fame dedicated to Croatians who have and who excel in their tireless dedication to the prosperity and well being of the Croatian homeland and Croatian people. An annual event for this Award is planned. “It’s like getting an Oscar for something that you’ve done, but this is better! Thank you so much. I am deeply touched and I declare I’m undeserving of this fuss, but yes, over time I have painted a few paintings that have skimmed over the history of Croatia so the highlights and symbolism of Croatia are thus recorded and it’s my intention to keep on doing it at an accelerated pace because I don’t want time to run out. My schedule is very, very busy and I have to rationalise my time from now on. Every moment counts and through hard work, working many hours a day, seven days a week, I achieve a modicum, a little fraction of what I would like to achieve, but even that little is holy to me. Thank you! “Thank you the brotherhood of Croatians. I said that word, brotherhood, because I believe in that word perhaps a little bit more than in the word nationality, you know, we are brothers and sisters. 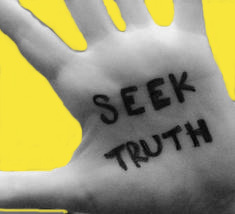 We are within parameters of this definition brothers and sisters with all the other tribes in the world. 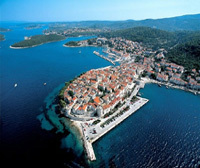 But in this, to each his own, I am very proud to be part of the Croatian tribe. I have a body of work coming up in the future, which may disappoint you but will stun you. So bear with me for a little while longer and you will see something decent and professional coming out of my brushes. One of the things I want to do in the near future is a monument to another pioneer of Croatian and global links – Marco Polo – he is a super hero in Croatia, he is a superman, he is the one who established contacts with the Far East, particularly China, Mongolia and virtually put Croatia on the map – for all times. I’m working on a great monument to Marco Polo, which will be erected in Korcula, which is a Croatian island, the island where Marco Polo was actually born. I compare tonight and I compare my joy that I feel tonight with the joy I felt a long time ago, since a century ago it seems, but it was only maybe 1952, I think, when something really unexpected happened like tonight was unexpected and which filled me with great joy. Now, if that’s possible in a communist country where I was in prison. But because of prisons being so overpopulated and crowded finally the communist Yugoslav government, which dominated over communist republics Serbia, Croatia, Slovenia, Bosnia and Herzegovina, Macedonia the government had to do something in order to satisfy the insistence of the International Red Cross to do something about the status of the persecutions of Croatians. I was in the prison one day and I was serving a ten-year sentence for political reasons and sedition when there was some announcement. And it was announced that because of the overcrowding of the prisons there would be an amnesty and the amnesty actually included some half of the jail population. To capture in this article the character, the mood and the significance of this event here are other speeches of note delivered at this event. 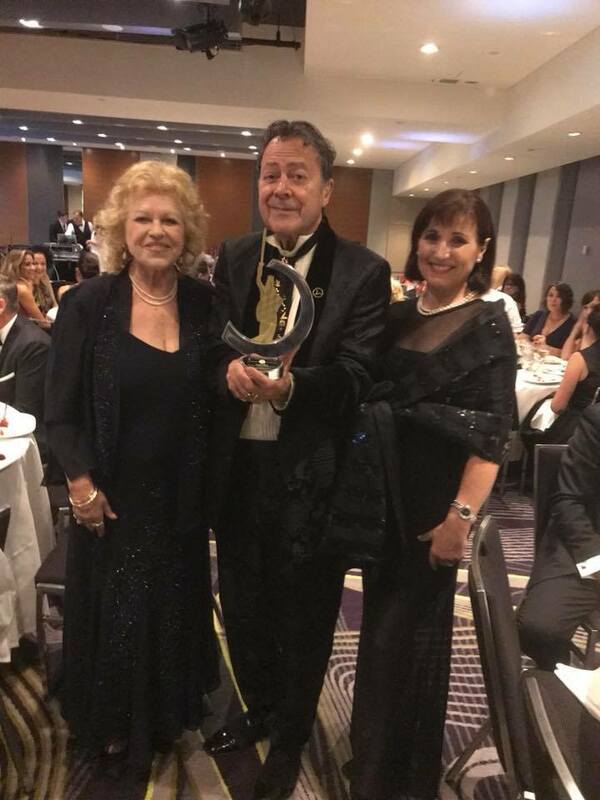 On behalf of the Croatian Diasporan Voice,and the entire Australian Croatian community I wish to welcome you all to this gala event in honour of Charles Billich, recognising his lifetime achievements and contributions not only to Australia, but his community and his beloved country of birth Croatia. My name is John Ovcaric, founder and vice-president of “The Croatian Diasporan Voice” and it is my sincerest honour and privilege to serve this evening as your master of ceremonies. 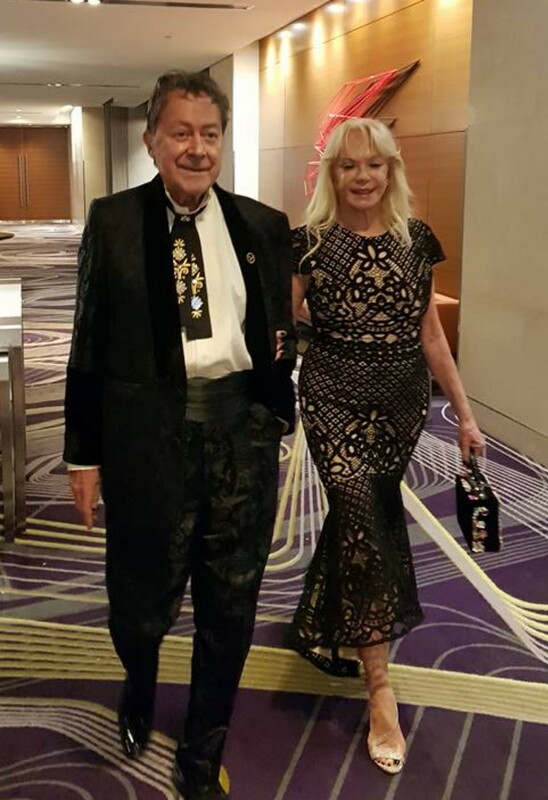 Before we commence with an evening that we all hope will leave lasting impressions and memories with you all, I would ask that we all take a moment to first recognise not only the man we are here to celebrate but also his dedicated wife. Ladies and gentlemen, could I ask you all to stand and join me in a round of applause for Charles and Christa Billich. This evening has played heavy on the hearts and minds of many for some time now. 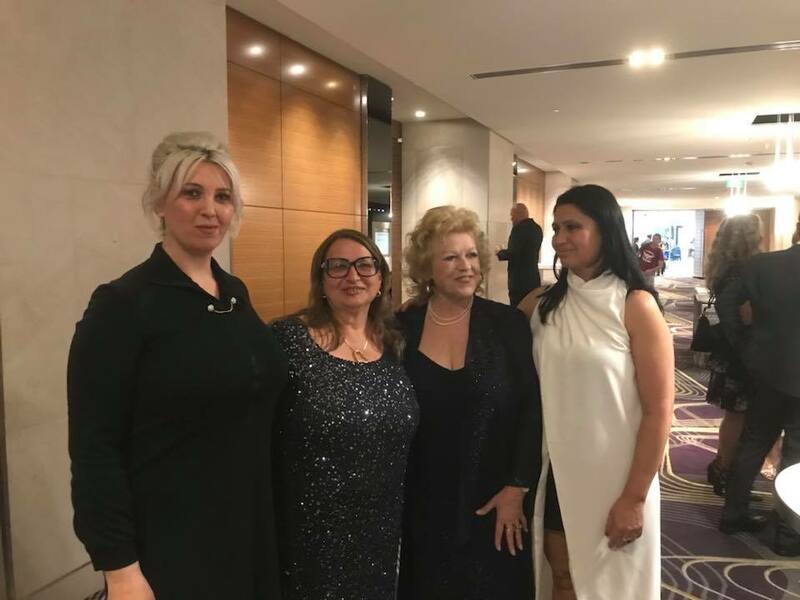 Croatian Diasporan Voice as an association was formed not only to represent the interests of Australian Croatians, who now number in the vicinity of some 200,000, but also to preserve our cultural heritage. As Australians we embrace all that it is to be Australian, Australia gave us the rights and opportunities that our forefathers left their place of birth to seek in order to provide their children that which they yearned for but could not have. The story of Charles is no less dramatic. And having any resemblance of freedom taken from him, Charles also looked beyond the beauty of his homeland seeking afar a place where, as an individual and artist, his artistic abilities and beliefs could merge and express themselves. Australia provided him those inalienable rights, and in return he reciprocated by adding to its unique and rich cultural beauty through his work. Yet so many more, that you don’t know this evening also celebrate with us. All too often we forget that a digital world can never replace the expressions of an artisan who not only through the subject, but through its creation conveys emotions that existed as each brush stoke was executed. When you create Charles, each of these brush strokes captures a small moment in time, they capture the essence that is you, and it is the colour, texture and their interplay together that capture the hearts and minds of those that admire. These moments pass for you as you transition from one creation to the next, but for us, you are most certainly thought of and admired somewhere, every minute, of every day as we focus on each and every stroke, a moment captured in eternity, a moment that inspires and delights. Firstly, I would like to congratulate the team at the Croatian Diasporan Voice for creating such a sensational event. John, Valentin, Branko, Ina, Anne, Mary and Alenka you have done such an amazing job in helping us create tonight and it’s an honor that I am able to stand here and express my appreciation for this memorable occasion. 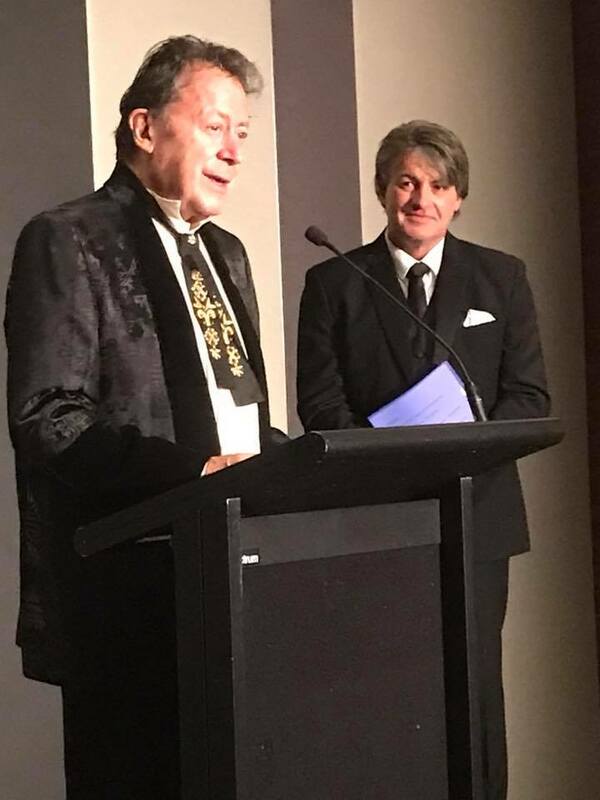 To be honest… for my first official speech as president I’m nervous… it had to be at a night that’s appreciating such a inspirational person Mr Charles Billich. • For me, my favorite… He purchased a beautiful Bentley. But then, it doesn’t end there… not only did achieve so much, he is a man with an enormous heart. Again, I could go on but the one I love… he was once a taxi driver… so much respect. Mr Charles Billich, You are an inspiration to so many and your work has brought so much happiness to people around the world. Australia may claim you as their own; Croatia theirs… but its only fair to say that both countries should be proud to call you their son as you are an international treasure. “The only embroidery of friendship is fidelity”, Antun Starcevic, 19th century politician and writer referred to as the father of the Croatian homeland. It is both an honour and a pleasure to be with you all here tonight when we celebrate excellence and outstanding dedication and devotion from the Croatian diaspora to the advancement of our Croatian homeland. 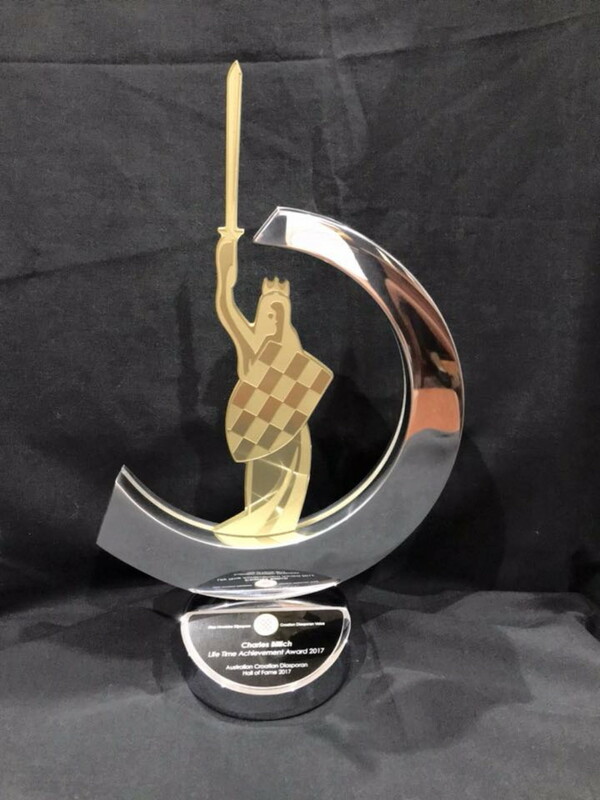 This award tonight is also given in recognition of Charles Billich’s enduring vision for a free and democratic Croatia and his enormous contributions to the defence and promotion of truth and Croatian name throughout the world – not to mention his outstanding humanitarian generosity. Croatia! The cradle of Croatian peoples’ existence; the mother of our history; the father of our freedom fighting spirit; the grandmother of legend and the great grandmother of tradition; the grandfather of Za Dom Spremni (For Home Ready) and the great grandfather of patriotic love and resolve. Patriotism and nation building has been the Croatian diaspora’s artery of existence. Patriotism means a love of country. Yet, that on its own – says very little. We can, after all, love many things in different ways, but to love something always means to have certain devotion, and to care for that object of love in a special, thrilling way. For a Croatian migrant to love and succeed in the new, as well as the original homeland, translates into that special love, that special devotion. Some people express that special love through momentous actions that touch a whole nation. And Charles has been and is right up there with them! Many today regard patriotism with scepticism. In a globalised world, multiple identities, nationalities and allegiances are commonplace. Many would say that it would be better for us simply to celebrate our common humanity, to become citizens of the world – and not worry about our country of origin as well as the one we have built our lives in, being special. You need it as a condition of collective self-improvement. The unspeakable and brutal losses of family lives, the oppression and persecution by the communist regime of former Yugoslavia are all too well known to the young Charles Billich, way back then. But Australia has been a balm that only a homeland can provide; another homeland that gives you freedom to nurture your dreams for the country of you birth and helps you work towards realising them. Over almost three past decades I have had the privilege and utter delight in being touched by the selfless stewardship championed by Charles for a collective wellbeing of the Croatian people in the homeland and those in the diaspora. 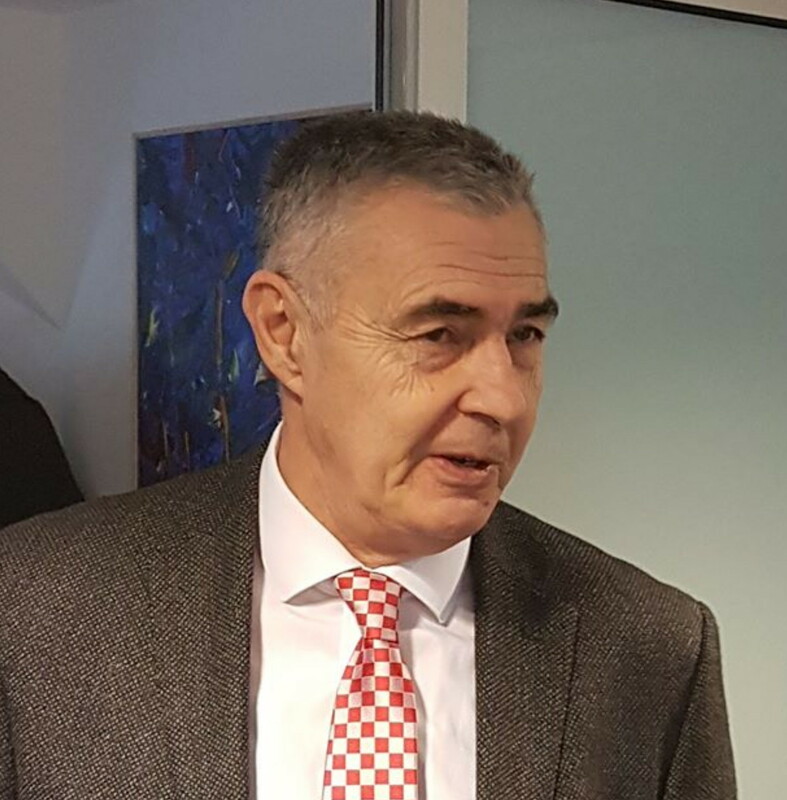 Charles Billich has consistently and steadfastly delivered not only to Australia but also to Croatia on actions that are so important to our collective wellbeing. Both countries have benefited richly from the talented and dedicated Charles Billich over several decades. 16 January 1992 was a day when Australia became among the first non-European countries to recognise Croatia as an independent and sovereign state. Here, in my hands I hold the testimonial of that very day when we celebrated that momentous occasion of which Charles was a significant part! I am gifting this publication to you Charles as one of the many beacons for Croatian freedom you have held in your hands throughout many years! 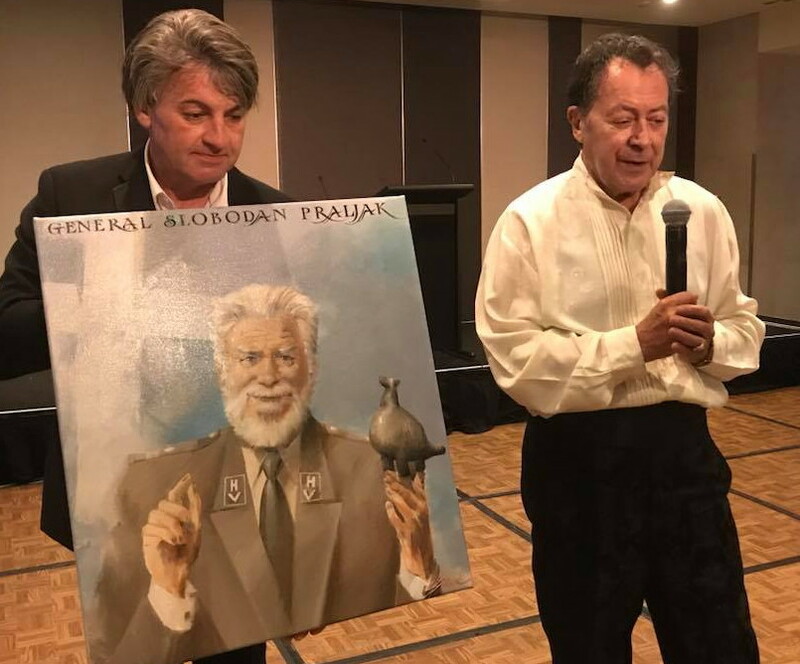 Portrait of late General Praljak. To honour the unwavering determination in defending the Croatian people from the brutal attacks waged in Bosnia and Herzegovina by Serbs and Bosniaks/Muslims during the 1990’s war Charles Billich unveiled on this night his portrait of the late General Praljak, who recently committed suicide in the International Criminal Tribunal for the Former Yugoslavia (ICTY) in response to the injustice pointing to Croats served by the tribunal. The proceeds of the sale of this portrait are intended for helping the late General’s family. May the proudest and the highest bidder for this stunning portrait do Croatia proud also! Thank you Michael. We stay true and we battle on for full democracy and rights for all! This is stunning, amazing – bravo, Croatian Diasporan Voice for this Thank You to Charles Billich, the first among many. I’m sure, Croatians around the world to honor the Hall of Fame for sticking in with Croatia full steam. I am touched, I am proud! So glad to know you feel like that, Robert – indeed, it’s the feelings that should carry us always, whether we are in Croatia or abroad. One never ceases to admire General Glasnovic! 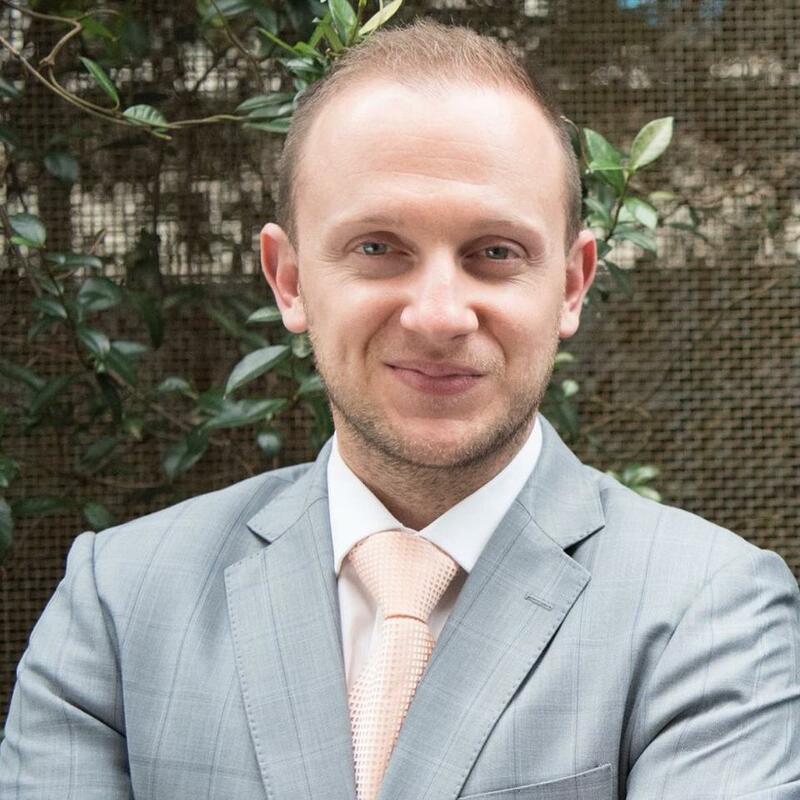 Croatian Parliament needs more people like him to represent diaspora – that would be the way it should be, after all the Croatian diaspora has been there when freedom was threatened and brutally attacked. It took the diaspora to start awarding patriotism achievements in such a grand way, for those achievements are grand! 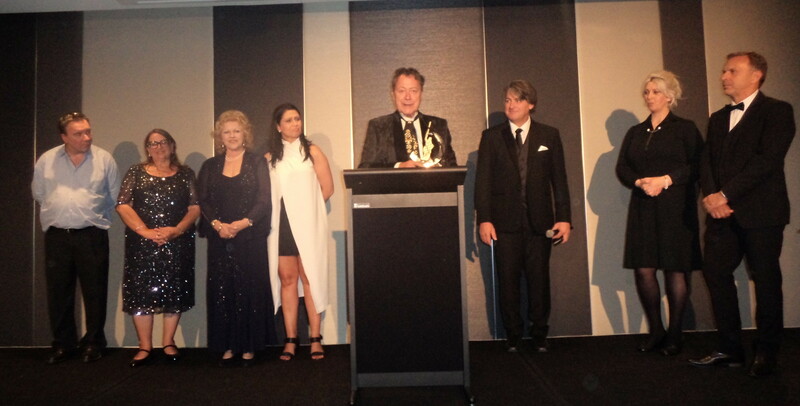 Bravo Croatian Diasporan Voice, bravo Australia! Ina, your speech is absolutely to the point of what it was, what it is and what it should be with patriotism! Through it we all respect ourselves and our nations. Don’t ever stop shining the way you shine for Croatia. God bless all! Thank you, Wilkinson. A true believer like yourself is what nations are made of. Congratulations to Charles Billich! What a wonderful world we population with values like these! Helping the family of late General Praljak! Wow! My heart is full of joy and gratitude. Thank you Charles Billich! A great thing to look forward to, Anna!Thank you so much on your feedback and so glad my articles educate, as all should! The Croatian Diaspora had the opportunity in the mid nineties to return in a significant number, we did not and I fear it is too late. Eh, if the former communists didn’t make sure that doesn’t happen, Stipe, diaspora would have had a chance. Once lustration occurs in Croatia – fear not – diaspora is in! I clearly remember when Dr Tuđmana visited Australia and invited all of us in the diaspora to return, which i did. Thanks for the advise Ina, it came 21 years too late.